Amnesty International Germany is using pmwiki in various ways within the organization successfully for the last three years. 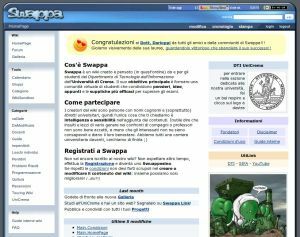 It is in use on about 100 websites of regional groups of activists. The organization therefor created an easy to install package that is also easy to maintain. This preconfigured package is updated every few weeks and has seen many updates by now. It cherrypicked recipes that are very useful for regional activists. 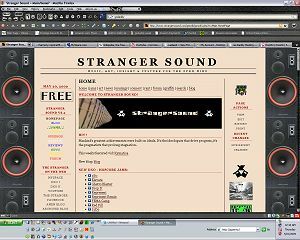 The weblayout was designed by a professional design agency and implemented for pmwiki by volunteer activists. Apfelwiki is a german project trying to build up a reference about working with Apple Computer like a large FAQ. The only way to let the user create their own pages was a wiki. But we won't have the same "old fashioned" wiki-look. So we decided to take pmwiki. 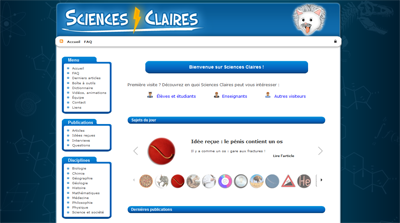 It's a powerful wiki and with css we made a modern layout. Last but not least pmwiki is very easy to handle. This german website is about my offer of tarot readings. It is aimed at customers interested in getting a reading as well as people who wish to study the art and seek instructions. There is a list of services and a collection of my texts on tarot and divination. The site uses a slightly customized Not so simple skin. 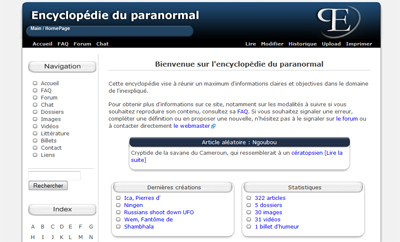 Finally adopted PmWiki as the CMS of choice and to great effect. Once the templating system is mastered then quite sophisticated sites can be made. I love the speed, love the programmability and also to limit clients the use of just headline, bold and italic. 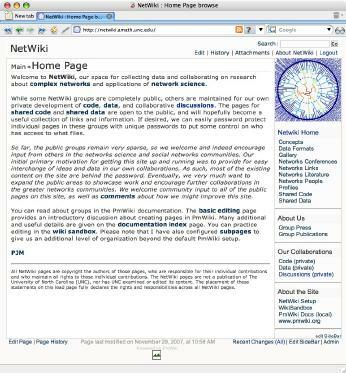 Prior to using PmWiki, the CCLUG web site was frequently out of date and difficult to update. All changes to the site had to be coordinated through the organization's webmaster, who was responsible for linking in new content and web pages (on a volunteer basis, of course). But with PmWiki, now all of CCLUG's members can participate in building the site! Visitors to the site can quickly find what's new via the site's RecentChanges page, and members can quickly and easily add new content. It's a whole new way for organizations to build and maintain web sites! All of this is possible thanks to PmWiki's excellent flexibility (virtually no need to modify the core code, except removing inline CSS and customizing the error message). Apache's mod_rewrite is also involved. The Cookbook extensions used are: Beautifier (not really needed at the moment), CommentBoxPlus, MarkupExtensions, Flash (again, not in use now), Cookbook:LinkTitles, MediaCat, MergeMetaTags (disabled for now, not working), PageToc, SearchHighLight? (originally not Unicode-clear, but I implemented a lame fix), UserAuth, PresenceAwarenessLight? (turned off for now), RandomQuote and ViewModes. New Hope Solebury is using this as a way for teachers to create their own webpages. We love the ability to secure the sites to different levels of access this is very important in an educational environment. My name is Ian MacGregor. I installed PmWiki for an in-house network (Linux machines) and I have found PmWiki to be the best suited wiki for my purpose. 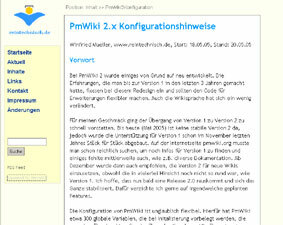 I have also installed PmWiki on my website. 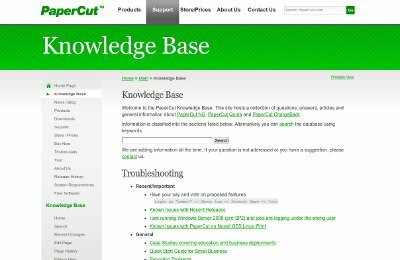 PmWiki installation was quick and easy and allows me to have a powerful yet very user-friendly wiki without all the hassle of some other wiki's that are out there. 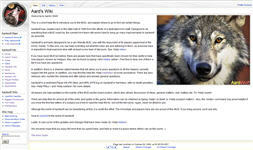 PmWiki is easy to use and its text formatting rules are easy to learn. Couple that with skinning ability, add-ons, security, a search facility and more and you've got one great wiki. Thank you Pm! This research organization has some sophisticated web frontends to its environmental databases, but needed a way for researchers to quickly create and update content. At first glance this site doesn't look like a wiki site, but it is! The edit links are hidden beneath the banner until the mouse pointer is over them. Representation Website for a local Federation of Freight Forwarders & Logistics Associations. We publish dates and news for members and informations about education. Using NetstreamsCMS with a simple Blog, Menu, Forms, german translation and a lot of other extensions (more that I can count ;-)). This page may have a more recent version on pmwiki.org: PmWiki:SuccessStories, and a talk page: PmWiki:SuccessStories-Talk?.